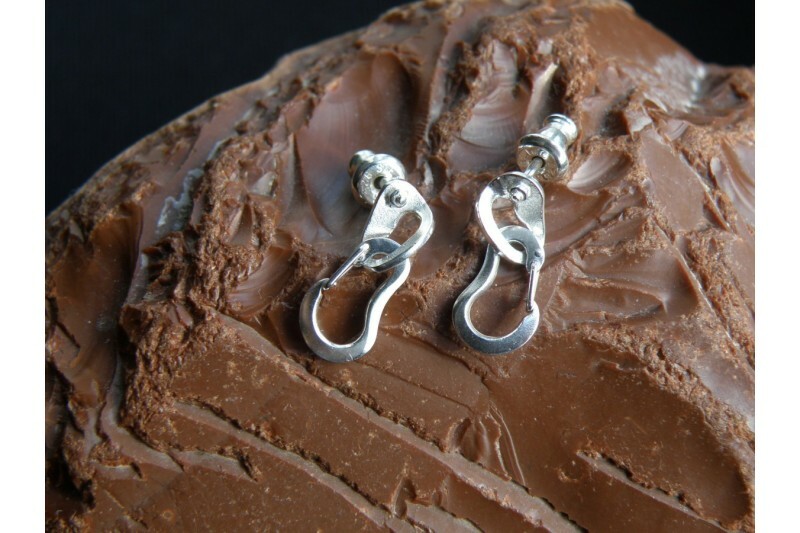 Earrings for rock climbers, made entirely from Sterling Silver (.925), including the earring stoppers. The carabiners are fully functional, working exactly like a real carabiner! The gate is spring loaded and arches back in place when you open it!